It’s been a busy few months getting ready to bring you the newest part of the Lounge & Lace Collection! Last year brought Mama Bridgette and Mama Victoria, and we are excited to release Lana and Greta this year! For many of you, this may be your very first time sewing lingerie, so we put together some of the most frequently asked questions. Be sure to read all the way through, but certainly post a question in the Made for Mermaids Facebook group if you still have questions. Don’t forget – we also start our Lana sew-a-long next week! Before you begin – It is SO, SO, SO important to watch Megan’s videos and read the tutorial in its entirety. I know as experienced sewists, we very often feel comfortable skimming or skipping parts entirely, but you run the risk of missing seam allowance changes, fabric recommendations, etc. What skill level is this? We would probably label the difficulty as “intermediate” due to the delicate materials, adding elastic, fitting, etc. However, don’t let that stop you if you are a beginner! Make use of the wonderful tutorial, and don’t forget to join the Sew Yourself Some Love sew-a-long for even more support. I would advise NOT to use your favorite lace or fabric for your first; as always, plan to make a muslin first so that you can perfect your own personal fit, and so it won’t be nearly as heartbreaking if you happen to make mistakes. Also, don’t get frustrated if you find the first one takes you several hours; they do get faster after your first one, but don’t plan on rushing through right away. Can I wear this in place of a regular bra? Does it have underwire? Sure, you can wear this instead of a “regular” RTW bra! It does not have underwire, but it is more structured/supportive than a bralette. It has a medium support level. Can I easily nurse in this? Yes! Megan included a nursing option right in the pattern. Should I use my regular sewing machine, my serger, or my coverstitch? We recommend using your sewing machine. See page 5 of your tutorial for recommended stitches! Will Megan write a doctor’s note to excuse me from work/school/chores/parenting for the next three weeks so I can sew up all the lace I bought? Sadly, the answer to that is still no. 🙂 But we do hope you love these patterns as much as we do! Is my ready-to-wear cup/bra size the same as my sewing cup size? This is the single most important question. They are not, I repeat, they are NOT the same! If you go by your ready-to-wear bra size, you will very likely be disappointed. Make sure to measure correctly over a light bra. Trust the pattern and the measurement chart! 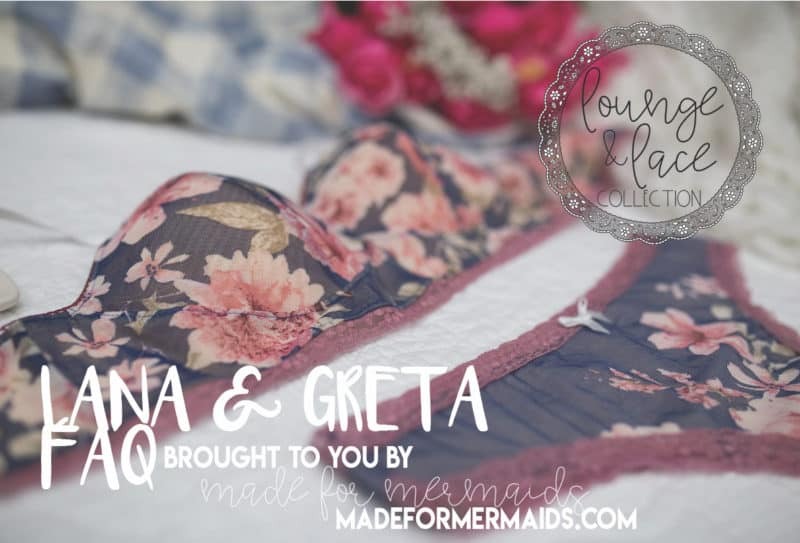 There may be a few exceptions, so if you notice yours is WAY off (for example, if you normally wear a D/E cup in ready-to-wear, and measure an A cup), post in the Made for Mermaids Facebook group so we can give some extra guidance! For this pattern, your FULL BUST measurement minus your UPPER BUST measurement will determine your cup size, and your UNDER BUST will determine your band size. For more help measuring yourself, be sure to watch the video linked here! For information on choosing your size, check the video here! Your Lana measurement will very likely NOT be the same as your RTW bra size. That is 100% normal! 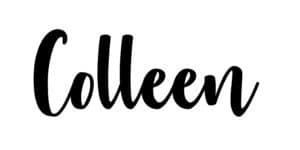 If, however, you notice a very significant difference in cup sizes after carefully measureing, (for example, you measure a “B” for Lana but wear an “E” or “F” in RTW), you may need to size up in cup size to accommodate for broad shoulders or similar fit concerns. Measure a bit outside of the pattern for the band size? If you measure over our 42″ band size, you could make a muslin taking smaller seam allowances in the band. You could also use the same concept as our no back closure hack, and just add a bit of extra width to the center back on your paper pattern piece, or vertically slash and spread your pattern piece. Measure a bit outside of the pattern for the cup size? Megan has information on sizing up just the cup here. NOTE – If you are using compression fabrics (powernet, techsheen, etc. ), fabric with limited vertical stretch, adding foam, or a combination of the three, you will very likely need to size up!! 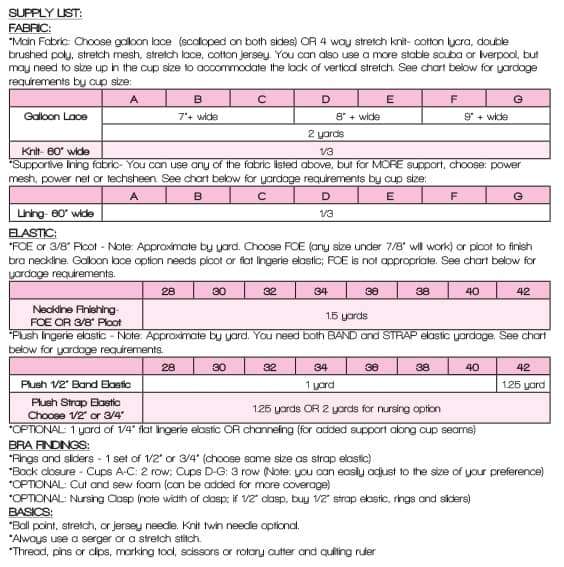 Bra making is a VERY personal fit; all standards-based measurements and sizes have been thoroughly tested, but it’s simply NOT feasible for each tester in each size to make a version in all appropriate fabrics, with all potential variables. Your personal preference for support, preference for coverage, fabrics used, accuracy of cutting and seam allowances, and more will HIGHLY impact your fit. This pattern, and I would venture to guess all bra patterns, are going to almost always require a muslin. Use quality fabrics and materials for your muslin, but we don’t recommend using your most precious fabric. You can use our No Back Closure hack for a quicker version of your muslin if you prefer. Do I need to adjust for height? You may wish to adjust/modify the rise on Greta to fit your personal preference, but I would recommend making per the pattern first. Another reason making a muslin first is the best option! How do I know when I need to size up in the band or cup size? If you are at the top end of the measurement in a particular size, you may want to size up. For example, if your under bust measurement is 41″, you may be more comfortable making the 42″ band rather than the 40″ band since 41″ is the largest measurement the 40″ band is drafted for. If your cup size falls in between two cups, opt for the larger cup. For example, if the difference between your upper bust and full bust is slightly over 2″ but not quite 2.25″, plan to make the C cup rather than the B cup. Also, keep in mind that fabrics will play an important role in fit. 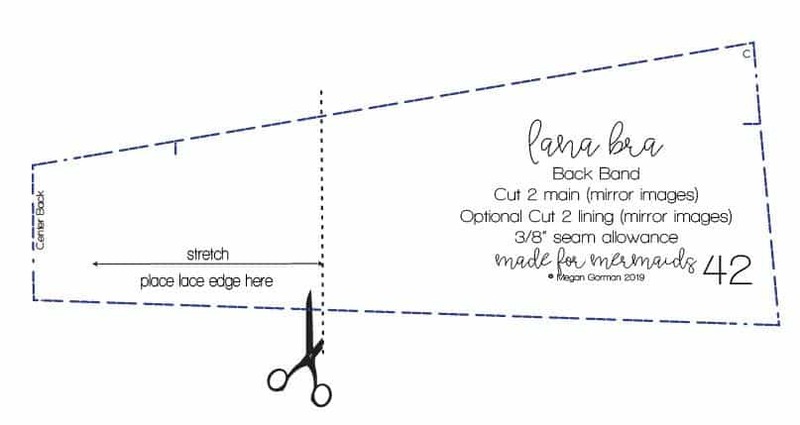 See page 4 of your Lana tutorial for additional sizing information. Here is the supply list for Lana or check out the video here! For Greta, you need a medium weight fabric with at least 50% stretch. See page 2 of your tutorial for our recommended fabrics. You will also need FOE or stretch lace trim. For clarification on type of elastic, see below. Some supplies can be found in chain stores such as Hobby Lobby or Joann’s, but supplies, especially colors, are limited. During testing we had great luck with Surge Fabric Shop, Phee Fabrics, Pretty Posh Prints, and Sew Sassy Fabrics. You can also check out So Sew English and Boho Fabrics. Sly Fox Fabrics and Knitpop have great yardage options. We also found several shops on Etsy with wonderful supplies and prices (including TailorMadeShoppe, FabricBistro, MarySupplies, and LaceandTrims). If you’re in Canada, try Kiss My Stash Fabric or Libelle Sewing. What type of knit fabric can I use? Galloon lace, stretch lace yardage, most 4-way stretch knits (cotton Lycra, double brushed poly, stretch mesh, scuba, cotton jersey, etc.). Make sure you double check the tutorial if you’re unsure. Can I line with power mesh? Yes! Power mesh, power net, and tech sheen are all great lining options for Lana. You can also line with any of the 4-way stretch knits listed above. Know a power mesh, power net or techsheen will give you more of a minimizing effect with it’s support. Do I have to add cut-and-sew foam? Where can I buy it? No, it’s an optional supply.Lots of vendors carry it! SewSassy, many sellers on Etsy, Joanns, etc. What is the difference between picot elastic, lingerie elastic, plush elastic, fold over elastic, etc? And what on earth is galloon lace? Many suppliers use “lingerie elastic” as their umbrella term to cover all elastic used in bra/underwear sewing. Lingerie elastic includes “picot” elastic. The term picot refers to the small loops or scalloped trim on one edge of the elastic. Picot elastic is probably the most widely recognized of lingerie elastic. It’s especially common in underwear waistbands. You want picot elastic to finish your neckline. Some stores will also include “stretch lace elastic” under the term lingerie elastic; this is not the same as stretch lace and could work to finish your neckline! It looks similar to picot elastic. Plush elastic (or plush lingerie elastic, plush strap elastic, etc.) has one brushed/felted side; this is often what you’ll see on your ready-to-wear bra straps! Some elastic will have a decorate edge, but not all. Plush lingerie elastic is what you want for your Lana straps. Fold-over elastic (often referred to as FOE) is elastic designed to “fold over” and finish a raw edge. You’ll see a faint crease down the center of the elastic. It is not generally listed with lingerie elastic, but can be used for these patterns. Note: FOE will not work for galloon lace Lanas. You will want to make sure you have picot for those. Plush band elastic has the same brushed/felted side as plush elastic, but it has small picot-like scallops along one edge. This is the elastic you want for your band. Finally, stretch lace can be found as trim, or as yardage.. Galloon lace refers to stretch lace that has a scalloped, lacy edge on both sides. Why will only certain widths of galloon lace work for upper size cups? The size of the cup/pattern pieces determines the width of galloon lace needed. The upper sizes simply won’t fit on the small width galloon laces. Some testers did use the lace as an appliqué with a stretch mesh lining, so that is an option to use a narrower galloon lace is there’s one you simply must have 🙂 For this, you would cut your cup pieces out of the mesh lining as usual, and then cut the lace to whatever size you wanted for the appliqué, and then stitch on using a stretch stitch. What is the difference between powernet, powermesh, and tech sheen? Of the three, tech sheen offers the most support, followed by power net and then power mesh. Know these supportive fabrics will give you more of a minimizing effect. Techsheen is a heavy duty nylon/spandex used in bras, compression garments, etc. It is the most opaque and the most supportive of the three. It generally has 2-way stretch, so sizing may take a bit of adjusting. Powernet is a compression nylon spandex; it’s sometimes called power mesh as well, since it is in the “mesh” family. It is fairly rigid and more opaque than powermesh. Powermesh is also a nylon/spandex blend; it has better drape than powernet, but as a result is not as supportive. Powermesh is sheer. Don’t forget to join our sew-a-long, for lots of extra help plus free hacks and add-ons, beginning February 4!